DETROIT U.S. buyers snapped up new cars and trucks in June at a pace not seen since before the recession. 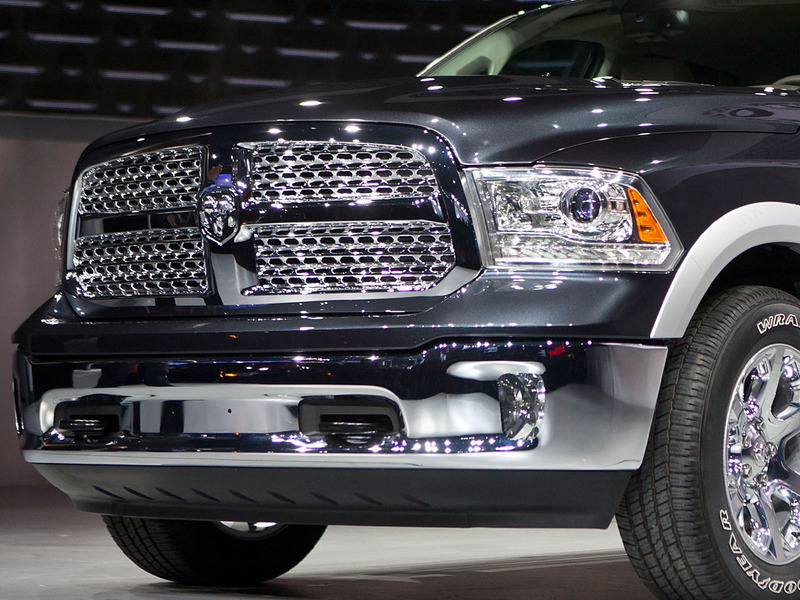 Continuing demand for big pickups helped boost sales for Detroit's automakers. Ford (F) said Tuesday that its sales rose 14 percent, while Chrysler's gained 8 percent and General Motors' (GM) rose 6.5 percent. Japanese automakers reported solid gains as well. Nissan's sales jumped 13 percent, while Toyota's (TM) and Honda's (HMC) each rose 10 percent. South Korea's Hyundai reported a record June, with sales up 2 percent. Only Volkswagen's sales dropped 3 percent, the third straight monthly decline for the German car company, as some products like the Jetta start to age. Other automakers will report sales later Tuesday. Analysts say they don't see much that could slow the sales momentum of the first six months. The factors that juiced sales -- low interest rates, wider credit availability, rising home construction and hot new vehicles -- are likely to remain in place. So far, hiccups in the stock market, higher taxes and fluctuating gas prices haven't dampened demand. "I think the fundamentals for continued growth in the new vehicle sales industry are intact," Chrysler's U.S. sales chief, Reid Bigland, said last week. Analysts estimate that U.S. auto sales rose 6 percent to 8 percent in June compared with the same month last year. The auto pricing site TrueCar.com predicts that dealers sold cars and trucks at an annualized rate of 15.7 million last month, the best rate since December 2007. Sales of pickups -- which have been selling at a rate three times faster than the rest of the industry has -- continued at a strong pace in June. Ford sold just over 68,000 F-Series trucks, up 24 percent from last June and its best June for trucks since 2005. GM said sales of the Chevrolet Silverado jumped 29 percent to 43,259, while Chrysler Group sold nearly 30,000 full-size Ram pickups, up 24 percent from last June. Small businesses have been replacing their aging trucks as home construction has picked up. Young graduates may have contributed to a rise in small car sales, said Kelley Blue Book analyst Alec Gutierrez. Gas prices, which averaged $3.60 a gallon nationwide in June and were higher than a year ago, may have steered some buyers to more fuel-efficient models, he said. Sales of Ford's recently updated Fiesta subcompact more than doubled to 9,363, while sales of the subcompact Honda Fit were up 10 percent. Sales of the Hyundai Elantra small car jumped 26 percent to more than 22,000. Consumer confidence hit a six-year high in June. And the Standard & Poor's 500 index had its best first half since 1998, up 12.6 percent, although there was some volatility late last month. At the same time, auto loan rates remained near historic lows in June. The rate on a four-year new-car loan is averaging 2.7 percent, according to Bankrate.com. Ford said two of its best sellers, the Fusion sedan and Escape SUV, were flat compared with last year, when the company was discounting older models to make way for the updated ones that are now on sale. Ford's Lincoln luxury brand was down 1 percent. Chrysler, majority-owned by Fiat SpA of Italy, also had some weak spots. Jeep sales were flat as the company halted production of the Liberty to get ready for the launch of the new Jeep Cherokee in August. Jeep may also have been squeezed by Chrysler's public flap with the government last month over the safety of some older-model Jeeps. And sales for the Chrysler and Fiat brands both rose 1 percent. Honda reported strong sales of family haulers for the summer road trip season. Sales of the Odyssey minivan -- which will be replaced by an updated model this month - jumped 26 percent, while the CR-V small SUV was up 14 percent.